This gallery is dedicated to the collection of the feudal lords MAEDA family, who used to rule this region. 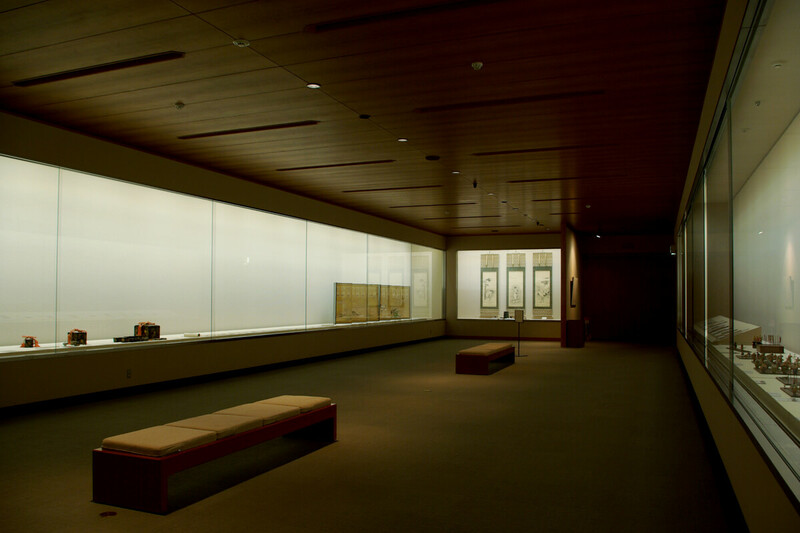 The collection includes paintings, armor, battle surcoats, Meibutsu gire (specially woven fabric), stationary, incense ceremony utensils, Noh masks and costumes, and tea ceremony utensils. We have occasional change of exhibits due to conservation purposes.